Corn ( also called maize ) is a popular food that’s known for its yellow color, its pleasant taste, and its unique ability to be eaten on the cob. Corn is a whole grain food that is high in fibre, low in fat and provides our body with essential nutrients. Health benefits of corn include controlling diabetes, prevention of heart ailments, lowering hypertension and prevention of neural-tube defects at birth. Read on to find out more about the surprising health benefits of corn. Corn is high in starch, a type of carbohydrate that can quickly raise blood sugar levels. This doesn’t mean that as a diabetic you need to completely forgo corn. However, corn offers plenty of nutritional benefits that make it worth the extra effort to include it as part of a balanced diabetic diet. 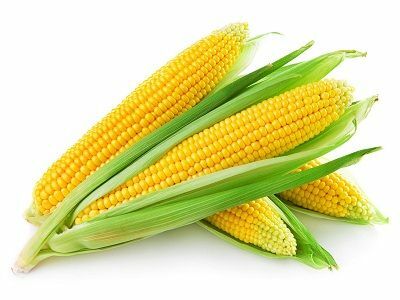 Studies have shown that the consumption of corn kernels assists in the management of non-insulin dependent diabetes mellitus (NIDDM) and is effective against hypertension due to the presence of phenolic phytochemicals in whole corn. Moreover, One medium-sized ear of corn provides over 10% of our daily requirement for dietary fiber. Dietary fiber is also associated with reduce risk of Type 2 diabetes. Just be sure to control portion sizes and account for the carbs in your meal plan. Steaming corn or grilling it lightly might be a good way to get your dose of corn. Folic acid is especially important for pregnant woman, because it prevents birth defects that occur in the first few weeks after conception. Pregnant women should make it a point to include some corn in their diet. Consumption of corn provides a rich source of folic acid. A 1-cup serving of cooked corn contains 34 micrograms of folate, or 9 percent of your recommended daily allowance. Anemia is a disease in which the body produces less blood cell to carry oxygen. The vitamin B12 and folic acid present in corn prevent anemia caused by a deficiency of these vitamins. Corn also has a significant level of iron, which is one of the essential minerals needed to form new red blood cells, per 100 grams corn provides almost 15% daily value of iron. In summation, anemia is another disease that can benefit from corn. Dietary fiber as part of an overall healthy diet helps reduce blood cholesterol levels and may lower your risk of heart disease, according to the American Heart Association. You’ll get 4 grams of fiber from 1 cup of cooked corn, which is 16 percent of women’s and 11 percent of men’s recommended daily intake. In addition, carotenoids and bioflavinoids contained in corn keep your heart healthy by controlling cholesterol levels and increasing the flow of blood in the body. Corn is a rich source of ferulic acid and beta-carotene, ferulic acid has been shown to be effective in fighting the tumors which lead to breast cancer as well as liver cancer. And beta-carotene in the body that is not converted into vitamin A acts as a very strong antioxidant, like all carotenoids, can combat terrible diseases like cancer and heart disease. Corn starch is used in the manufacturing of many cosmetic products and may also be applied topically to soothe skin rashes and irritation. Corn is rich in antioxidants, which help in keeping the skin younger for longer. Apart from the regular consumption of corn, it can also be applied as Corn Oil which is a rich source of linoleic acid, research points to linoleic acid’s anti-inflammatory, acne reductive, and moisture retentive properties when applied topically on the skin.